In my series "Divine Guitar Pieces" on Greek mythological figures this is Narcissus. Narcissus is the young man who, as a result of a curse, fell in love with his own reflexion in the water. 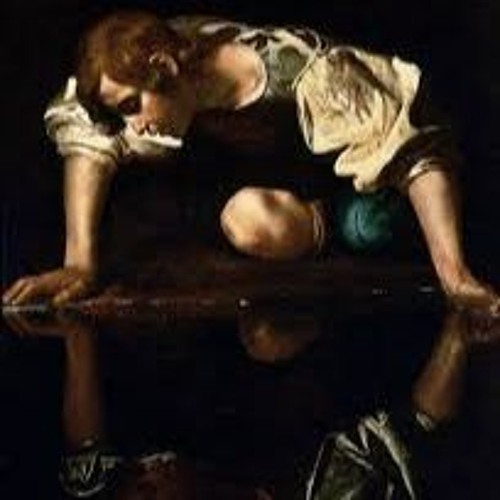 Narcissus can't tear himself away from it, and dies. So, this piece dies away in a soft unisono. The Etude is for middle level. Its technical subjects: echo dynamics, different loudness for different voices, and a preliminary to tremolo. Requests for the sheet music: bartberman@gmail.com.